Charlee Shaw, who has been at Children’s Hospital in Aurora, shows her grit while recovering from injuries and medical complications that resulted from a crash on I-70 near Genesee that killed her mother Sancy Shaw. 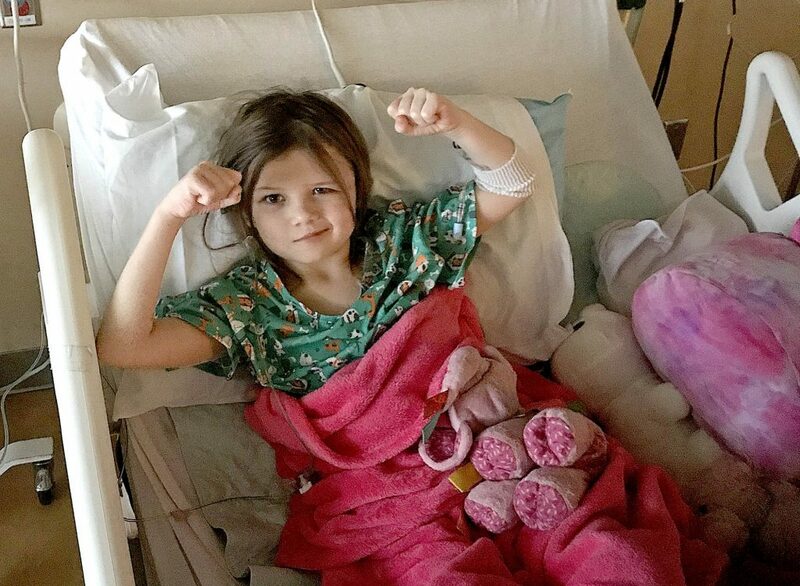 STEAMBOAT SPRINGS — It’s been a month filled with setbacks, regular therapy sessions and too many days away from her brothers and dad, but through it all, 6-year-old Charlee Shaw continues to prove she’s a fighter and that miracles are possible. On March 13, Charlee underwent surgery to place a flap over a section of her skull. Doctors were forced to remove that section of her skull after Charlee was rushed to Children’s Hospital in Aurora with life-threatening head injuries she suffered in a car crash on I-70 near Genesee on Dec. 24, 2018, that killed Charlee’s mom, 38-year-old Sancy Shaw. Charlee spent nearly two months in the hospital recovering and then returned home to the Yampa Valley on Feb. 20. She was greeted by large crowds of people who lined the streets between Steamboat Springs and Shaw home in Clark to show their support for the family, which also includes Charlee’s three brothers Jaxon, 9, Mason, 11, and Wyatt, 13. 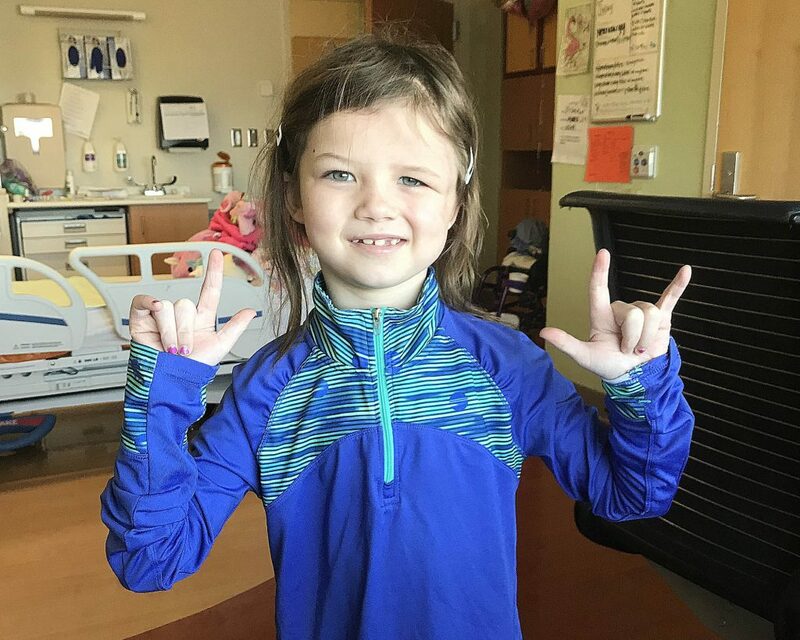 In early March, Charlee returned to Denver for the surgery to replace the skull flap, but shortly after the surgery, doctors noticed things were not right. They rushed Charlee back into surgery to address a blood clot and bleeding on the brain. 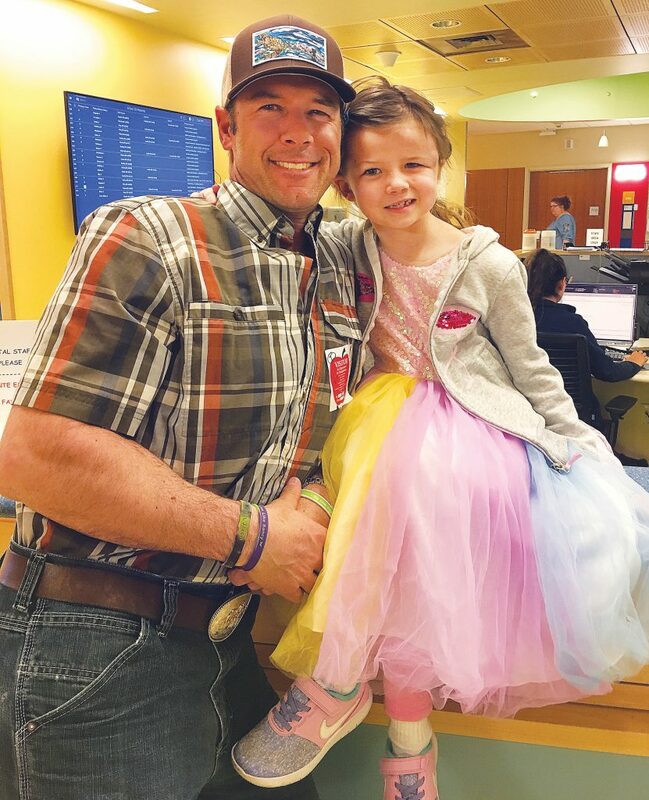 Six-year-old Charlee Shaw remains positive as she continues to work hard in her physical, occupational and speech therapy sessions at Children’s Hospital in Aurora. Charlee is currently undergoing three speech therapy sessions, two physical therapy sessions and two occupational therapy sessions a day. Brett is hopeful his daughter will come home later this month. Brett said despite Charlee’s latest stay at Children’s, the family is remaining positive. “Her therapy is at a super high level and very intensive,” Brett said. When she does come home, Charlee will receive pediatric therapy at UCHealth Yampa Valley Medical Center in Steamboat, she will meet with a therapist at school a couple of days a week, and the family is looking into having an outside therapist come to the home to work with Charlee. “We are going to provide everything we possibly can to help her to recover from this,” Brett said. Through it all, Brett said his daughter continues to remain positive and has shown a willingness to do whatever the therapist, nurses and doctors ask of her. But Brett knows the time in the hospital is difficult on his daughter. It’s also been difficult on Brett who has been forced to balance his time between being in Clark with his three boys or staying at Children’s Hospital with Charlee. Brett plans to take the boys to visit Charlee this weekend. He is hoping she will be allowed to join the family on a trip to the Denver Aquarium for a few hours. Brett is planning on taking a road trip around Colorado with Jaxon, Mason and Wyatt soon, and he said it makes him sad that Charlee can’t yet make the trip. He continues to pray for the day he will be at home in Clark with all four children under the same roof. Brett and Charlee Shaw pose for a photograph at Children’s Hospital in Aurora. To reach John F. Russell, call 970-871-4209, email [email protected] or follow him on Twitter @Framp1966.